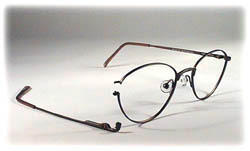 Eyeweartown.com specializes in the repair of all eyewear. No matter what brand and/or model we can fix it. The work performed is by spcialized optomotrists and who have the knowhow to get the job done right. Let us start by saying, every repair is different. They may have similarities but all have small differences that make each one unique. That's why it is impossible to give someone an exact price quote without seeing the broken frame. Most frame repairs will cost anywhere between $25 and $65. Much cheaper than a new frame.